1. 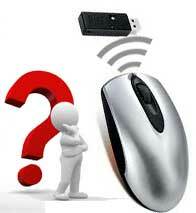 Check mouse battery first and ensure it is OK.
2. Switch on mouse and check Optical LED light (Red-bottom side) coming ON. 3. Connect its receiver into system. Check detection and presence of it in Device Manager --> Mice and other pointing devices. Also check here for showing any driver issues (any annotation over), if it persist then go for update. 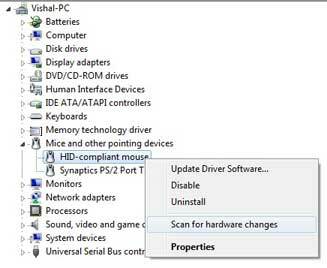 [Normally mouse driver installed automatically and need not to give attention]. 4. If above steps are OK then the cordless mouse should work normally. a. Switch OFF and ON for few sec. then check. Some time re-installation of battery is helpful. b. Disconnect the receiver for few sec. from USB and put it back in same USB port or change the port. This works most of the time. If all the above steps fail then change the system and check, before declaring it faulty.